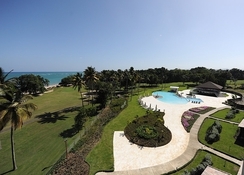 Blue Jack Tar Hotel & Golf is an intimate resort situated on a fine sand beach in San Philipe in Puerto Plata. Located in the heart of the Dominican Republic's Puerto Plata resort, a really restful and family-friendly vacation expertise awaits guests here. The gated Playa Dorada complex gives the desired privacy with a view of the Isabel de Torres Mountain and a championship 18-hole golf course designed by legendary creator Henry M. Robert Trent Jones Sr gives one more reason to put up base here. 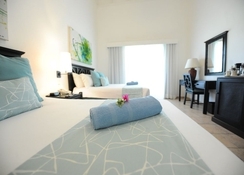 This is the perfect venue to spend some quality friends and family time in the lovely beach resort of Playa Plata. 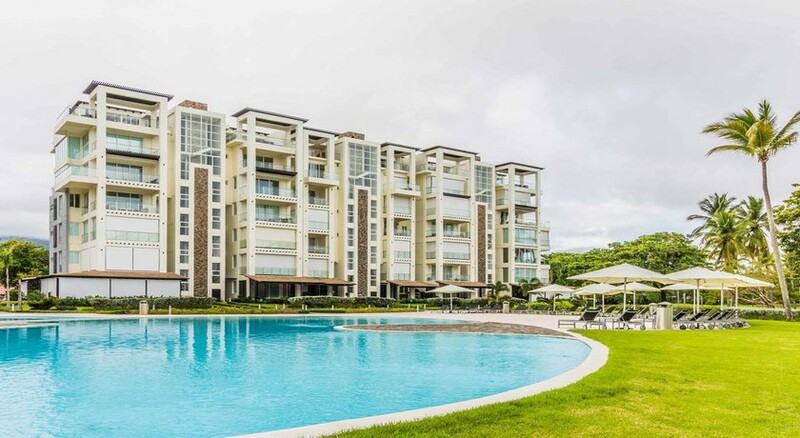 There's a stunning outdoor pool and personal beach space with beach beds where guests will relax all they want. The Blue Jack Tar is snuggled by a beautiful beach in San Philipe. 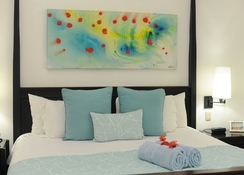 The Puerto Plata city centre is 5km from, and La Union Airport is 15.4km from the hotel. Ocean World Park is only 13km from the property. 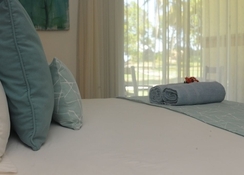 Blue JackTar Hotel & Golf offers 72 Deluxe Rooms and six Junior Suites that are furnished in contemporary décor and feature the comforts and amenities expected of a top-class hotel. 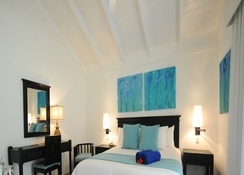 The air-conditioned rooms come with rich-wood furniture, terrace, flat-screen satellite TV and minibar. En-suite bathrooms feature a shower and there’s a spa tub in the suites. There is lovely landscaping around the hotel grounds. Blue JackTar Hotel & Golf offers a wide array of cuisines in a number of lovely restaurants famed for their ambience and prompt service. The Club restaurant offers a continental buffet breakfast. There’s the Jack´s Kite & Grill restaurant on the beach for grilled delicacies and cocktails and the Green Jack Restaurant is known for flavourful Caribbean fusion cuisine and an array of international specialties. 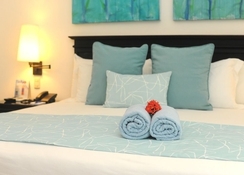 Blue Jack Tar Hotel & Golf offers its guests ample opportunities to relax. Golfers can tee off on the Playa Dorada golf course. This hotel has an outdoor pool and private beach area where guests can soak up all the sun. The Jack's Kite & Grill Beach Club is a nice place to sip drinks and enjoy light bites in the afternoon. The hotel also offers in-room massage or spa treatment and a playground for tiny tots.